Draw clock faces on the paper plates. Cut out hour and minute hands from the construction paper and punch holes in each. Students will be able to tell time on the hour using an analog clock. Ask the students what item is used to tell time. Inform the students that clocks come in all shapes and sizes. 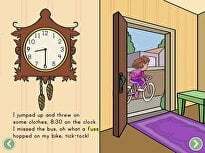 Inform the students that today they will be using an Analog clock, or a clock that has rotating hands. Point to the clock in the classroom as you say "analog clock." Bring examples of digital clocks and watches. 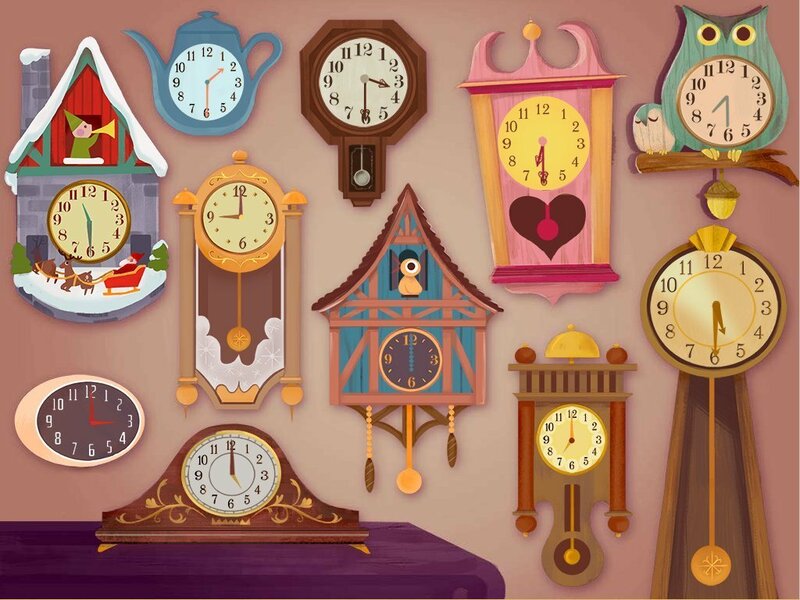 Ask students to name places other than school where they have seen clocks. List student responses on the board. Define "rotating hands" as the pointers on a clock that move in a circle. Show students the hands on the classroom clock. 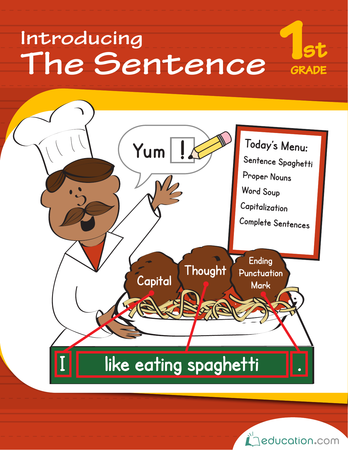 Tell students to share with a partner at what time they do different activities, using the sentence frame: "I ________At ________." Brainstorm ways to complete the sentence frame using the shared school schedule for context. Show the students a large battery-operated analog clock. 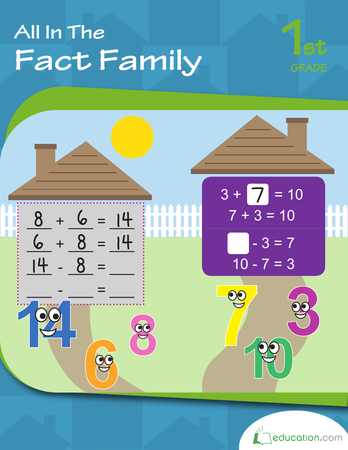 Ask the students to count from 1 to 12 as you point out the numbers on the clock. Draw an analog clock on the whiteboard. Draw an Hour handOn the clock. Inform the students that the hour hand moves slowly around the clock, and that it takes 12 hours to make a full rotation. Inform the students that an HourIs 60 minutes long. Draw a Minute handOn the clock. 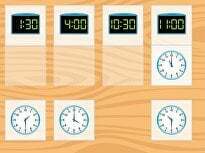 Tell the students that a minute hand moves more quickly around the clock, and that it takes it one hour to make a rotation. 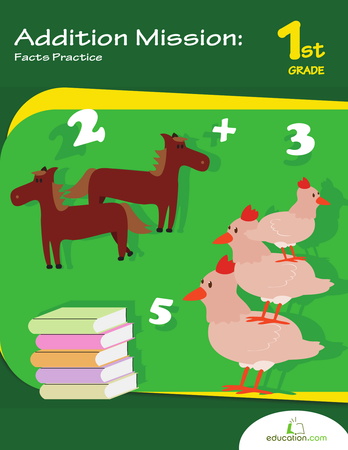 Inform the students that 60 SecondsIs equal to one Minute. Show 12 o'clock on the analog clock. Ask the students to repeat after you as you say "12 o'clock." Show 1 o'clock and have the students repeat after you as you say "1 o'clock." Continue this process until you get back to 12 o'clock. Emphasize that the minute and hour hands move to the right, or Clockwise, at all times. Have students repeat: "The hour hand is shorter, and the minute hand is longer." Gesture with your hands close together when you say "shorter" and move them far apart to show "longer." 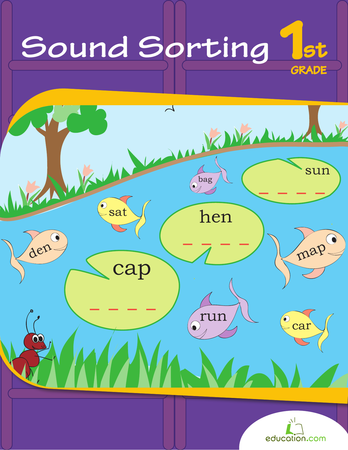 Ask students how to say hour, minute, second and "12 o'clock" in their home language (L1). For Spanish-speaking students, point out cognates: Hora/hour, Minuto/minute, Segundo/second. Instruct students to stand up and spin in a circle to the right. Tell them they are spinning, or rotating, clockwise. Show students on the demonstration clock that the hands of the clock rotate clockwise. Tell students that a new day begins at 12 o'clock, or midnight. After exactly one full hour with no extra minutes passes, it is 1 o'clock. Remind students that both clock hands rotate, as you show times to the hour on the demonstration clock. Place the students at their desk to work. Each student should have a paper plate with an analog clock face already drawn on the plate. Each student should have a pre-cut hour hand, a pre-cut minute hand, and a brass fastener. Tell the students to place the hour and minute hands on top of each other so that the punched holes align. Have the students put the brass fastener through the punched holes on the minute and hour hand. Then have the students put the brass fastener through the paper plate clock face. In the event you wish to save time, each clock may be pre-assembled. 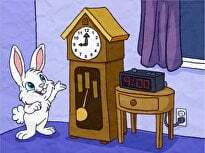 Ask the class to set the clocks at 12 o'clock, as previously modeled. Ask the students to demonstrate various times on the hour. 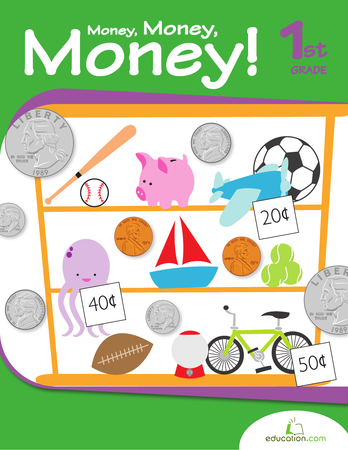 Walk around the room to check in with students as they use this manipulative. Work with students in a teacher-led small group. Tell students to repeat the time after you. Instruct students to work in partners. Partner A says, "Show me ________O'clock." Partner B shows the time on the demonstration clock. Then, have them switch roles. Ask the students to have a seat at their desk. Provide each student with a pencil and a Be on Time worksheet. Have the students colour the face of their analog clock with crayons. Create a poster of 12 clock faces labeled 12 o'clock, 1 o'clock, 2 o'clock etc. for reference. Partner students and tell them to take turns reading the times and matching the time to the clock. 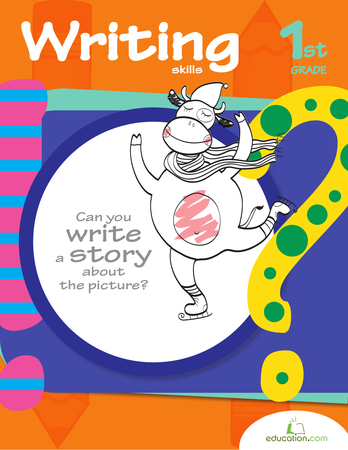 Enrichment:Provide students with the Telling Time with Carlos the Cat! worksheet. It has various analog clocks displaying different times on the hour. 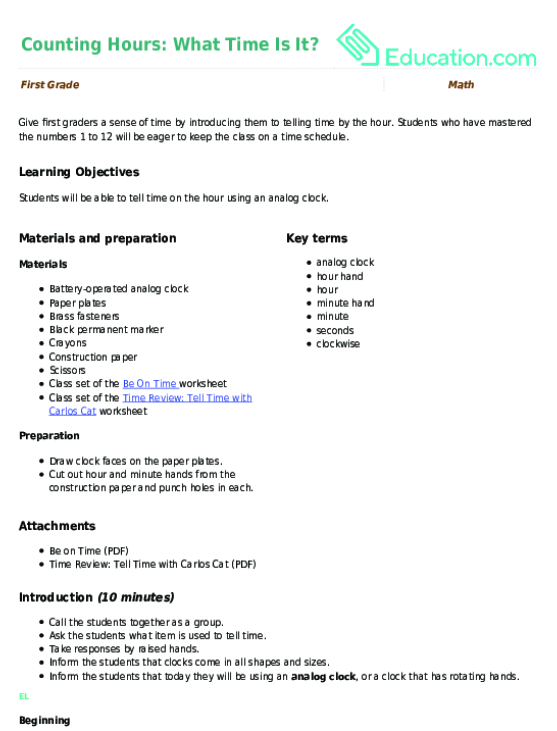 Have the students write the time under each clock. Do not provide a word box or any scaffolding. Support:Provide students with the Be On Time worksheet. It has the hour hand and minute hand in red and black. This should make telling time a bit easier for students who need extra support. Assess the independent work of the students. Mini-conference with students who scored low. Provide reinforcement by assigning homework or another opportunity to master the concept the next lesson. Assess students' oral language by listening as they work in partners. Partner A shows a time to the hour on the demonstration clock and asks, "What time is it?" Partner B answers, "It is ________O'clock." Tell students the story problem, "Jorge gets home from school at 3 o'clock. Jorge's sister goes to kindergarten and gets home one hour before Jorge does. Jorge's mom gets home from work one hour after Jorge gets home. What time do Jorge's sister and mom get home?" Provide the sentence frame, "________Gets home at ________O'clock." Discuss student thinking and responses. Give each student an index card with a time on the hour from 1 o'clock to 12 o'clock. Do not repeat any of the times. Have the students arrange themselves in the correct order to make a human clock. If you have more than 12 students, create 2 groups of 12. Ask students to identify which shape they form. Ask students to point to the student to their left and right in the circle.